You are right, recent DNA research does show that Neanderthals had red hair, but their gene for red hair is not the same gene for red hair in modern humans, though they both result in red hair. Some, but not many modern humans carry the neanderthal gene for red hair. What white people did to Aboriginals is an atrocity. Everytime i see this thread I read "Astroids"
That is the way it is portrayed, but given that they clearly interbred successfully, perhaps they were separate subspecies, or varieties of humanity. From what I have read, I would have a hard time saying Neanderthals were not human. Different, but definitely human. My point is and will always be that all people on this earth are of one race - the human race. Skin color is not a race. No matter how much European or sub-Saharan genes one has, or if they are aboriginal - we are all humans. That is an often repeated nugget of propaganda that is completely pointless as no one seriously thinks that race is defined by skin color alone. People of sub-Saharan descent have physical features that group them together as a race. 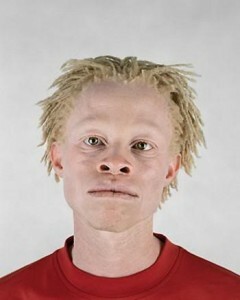 An albino Black person isn't considered White, just because his skin is pale. What did people do to Aboriginals and to how many of them? I didn't say different races are different species. It is just simply that different races are different. Can you deny that? The idea that we are divided into different races based on variances in our skin pigmentation or these vague references to Neanderthal DNA is patently absurd. There is only one race, the human race. This is a racist thread, by the way. Straw man argument. Only ignorant people think that race is defined by skin color. Most wouldn't call southern Indians and sub-Saharan Africans part of the same race. It shouldn't be unexpected that in a thread that discusses the science behind human variation, we'd have some shrill know nothings drop by to inject, "That's racist!" into the mix.